The Teaching Artist is a key agent in achieving The Song Room’s vision that all Australian children will have the opportunity to participate in music and the arts and so enhance their education, personal development and community involvement to provide them with the best possible start in life. The Teaching Artist is responsible for planning, developing and implementing high quality, impactful sequential Arts Learning programs in their school. Additionally, they build teacher capacity and capability in Arts Learning across the school, and in so doing develop a sustainable, positive school culture that embraces Arts Learning. Demonstrated alignment with The Song Room’s ethos, vision and values. Strong interpersonal, communication and negotiation skills, with demonstrated ability to build rapport, interact effectively at all levels of The Song Room, and build authentic, collaborative and productive relationships. Strong analytical and problem-solving skills and a growth mindset. High level written and verbal communication skills with an ability to present complex information simply, clearly and succinctly to a range of audiences. Demonstrated flexibility and an ability to adapt and operate effectively in a demanding and changing educational environment. Demonstrated innovation in Arts Learning. Demonstrated ability in leading professional learning activities. A minimum of an undergraduate degree in Music. A postgraduate qualification in Education and current registration with the Victorian Institute of Teaching is highly regarded. 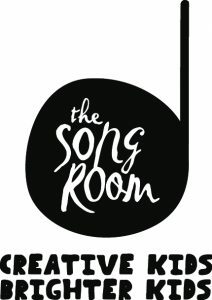 The Song Room is a nimble, entrepreneurial for-purpose organisation that levels the learning playing field for Australia’s most disadvantaged young people. It does this through the delivery of impactful, sustainable and scalable arts learning programs, delivered in partnership with schools across the country. Independent research has unequivocally demonstrated that The Song Room’s programs lift the academic performance, school attendance, social-emotional wellbeing and community involvement of Australian school children. Whatever your role at The Song Room, you directly contribute to addressing the educational equity gap for some of Australia’s most disadvantaged young people. Please quote in application: Teaching Artists, Music – Victoria (Regional & Metro) via Pro Bono Australia.